Now it's December, I feel it's justifiable to mention Christmas. Everybody has that difficult person to buy for. I know I do. You spend so much time trying to pick out the perfect present. Then there's the wrapping and worry that the gift you've bought is good enough. You want it to look special for them. Well, if there's a chap you know like this then Samuel Windsor could be the answer to your prayers. They sell a wide range of items from jackets, coats, trousers and waistcoats through to smaller items like umbrellas, ties, scarves and cufflinks. 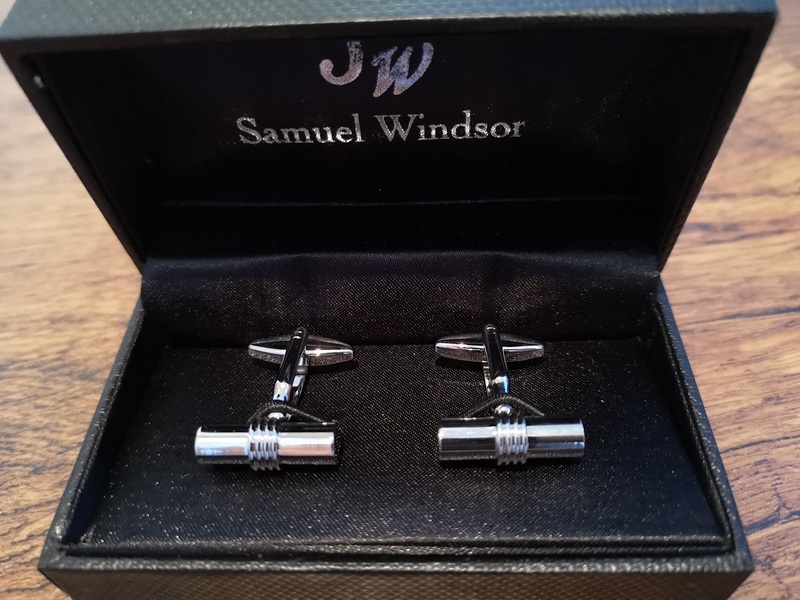 I've ordered many things over the years from Samuel Windsor and always been impressed with the quality of the item and the presentation. It always feels like a big treat to open up the box. This year, Samuel Windsor asked me to take part in their #WindsorWonderland campaign to show off their products and packaging. This involved filming a 20 second video of me opening two gifts from them. 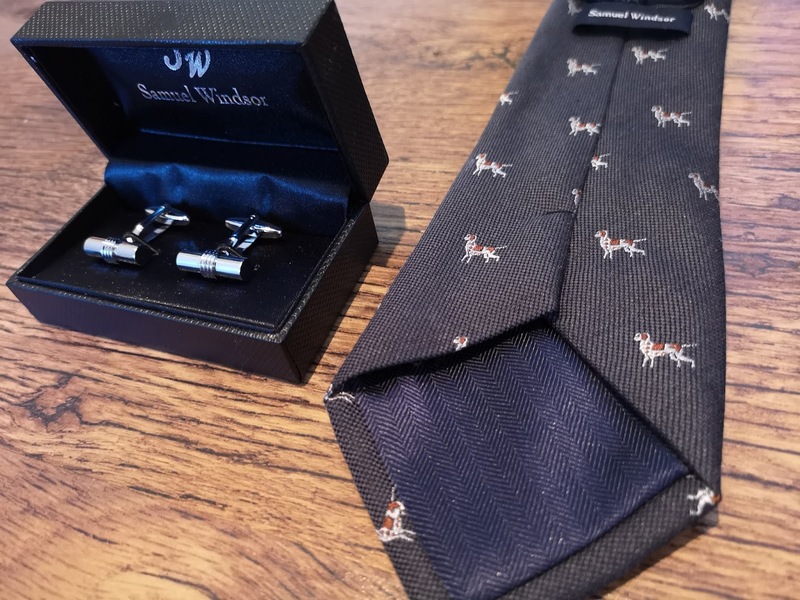 I was fortunate to receive a pair of silver bar cufflinks and a tie emblazoned with little dogs. It was dashed difficult opening two items in such a short amount of time, but I did my utmost to rise to the challenge. The cufflinks are very charming indeed. They came in a lovely box, making it a perfect gift for somebody to open on Christmas morning. I don't wear cufflinks as often as I'd like. I only have a small number of shirts with French cuffs so now I've a wonderful new set to wear, I will be making the most of them. I always feel extra smart wearing cufflinks. There's just something very elegant about them and these ones from Samuel Windsor feel very solid. Now I don't know about you, but I'm of the opinion that one can never have too many ties. I already had a country tie from Samuel Windsor which has always been a particular favourite of mine. So of course, I was overjoyed to receive another one from their country collection. I love dogs so the hound tie is the perfect way to convey that important message to the world at large. A dog may be man's best friend, but a new tie at Christmas is a great new chum to get acquainted with over a glass of sherry. The tie arrived in an attractive box and was wrapped in tissue paper. A sure sign of quality, I'm sure you'll agree. 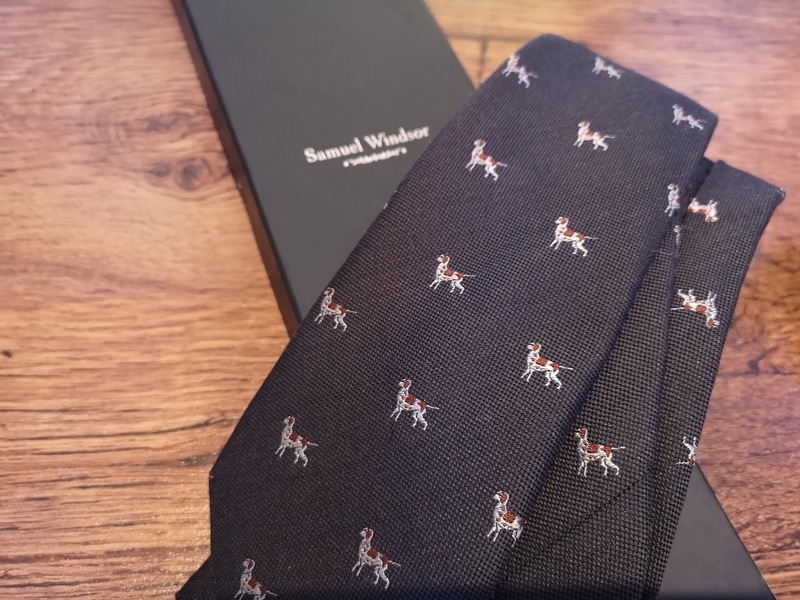 If you're stuck for ideas for a man in your life, have a look on the Samuel Windsor website. In my experience, postage is always super quick and if you buy the wrong size, returning or exchanging items is an absolute breeze.